The Bolero Power+ is Mahindra's idea of a more powerful and slightly smaller option to its wildly popular utility vehicle. 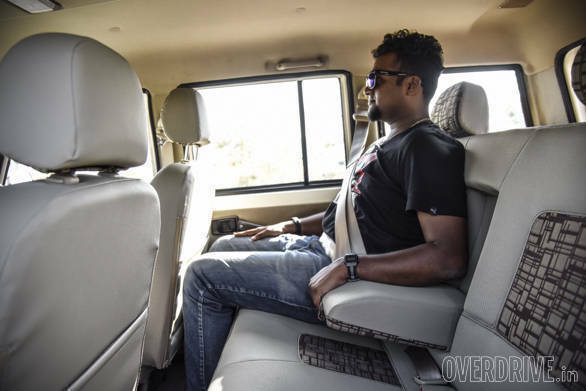 We put the vehicle to test in jam packed Mumbai a day before Dussehra and also in the semi-urban areas around Mumbai where the roads demand a rugged vehicle like this. This is the real star of the package. The 3-cylinder motor from the TUV300 is a gem, and I have always enjoyed the oodles of torque available right from the word go. 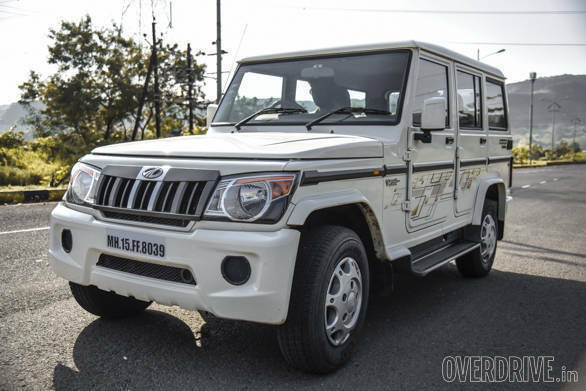 In the new Mahindra Bolero Power+, however, the engine has been detuned to make 11PS less. But, let me assure you, the engine feels anything but underpowered. From 0-80kmph, she pulls effortlessly. That's nothing special, but try doing 18kmph in third gear in any other manual car and you'll either stall the engine or cause considerable grumble and judder. No such issues with this engine. In the same vein, the engine refinement is impressive for a UV. 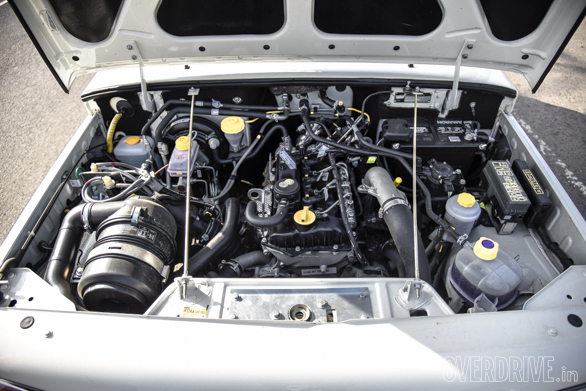 The amount of sound-deadening material used under the hood, as can be seen in the photos, is impressive. Mahindra, however, could have worked on the long throw and vibey gearbox. But hey, who am I fooling here? Why fix something that isn't broken. 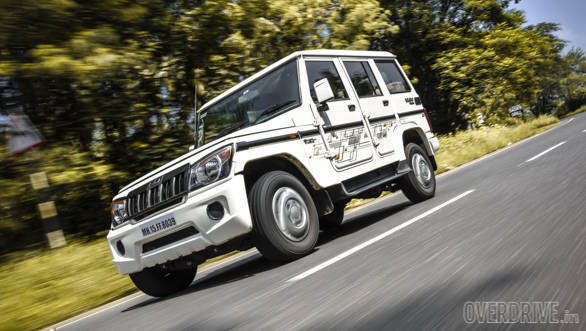 On its own, the Bolero Power+ is nothing special, but compared to the 2.5-litre DI engine in the standard Bolero, this feels like a much better unit and still offers the all-important low-down torque. The Power+ returned nearly 600km on a tankful (Mahindra is yet to confirm what is the tank capacity). In our mileage tests, she returned 12.2kmpl in city and 17.5kmpl on the highway. This engine is more about lugging loads, so I wouldn't read too much into the 0-100kmph time of 20.2s and a top speed of around 130kmph. Nothing has changed, well at least not at first glance. However, the Mahindra Bolero Power+ is now a sub-4m SUV against the 4.1m Bolero. Only a very close inspection will reveal that the front and rear bumpers now appear flat. This, Mahindra says, has been done to achieve the sub-4m length that accords the company huge excise and tax benefits, which have been duly passed onto the customer. The Bolero sub-4m now costs a whopping Rs 1 lakh less than the slightly bigger version, which still is on sale and will co-exist with the sub-4m vehicle. 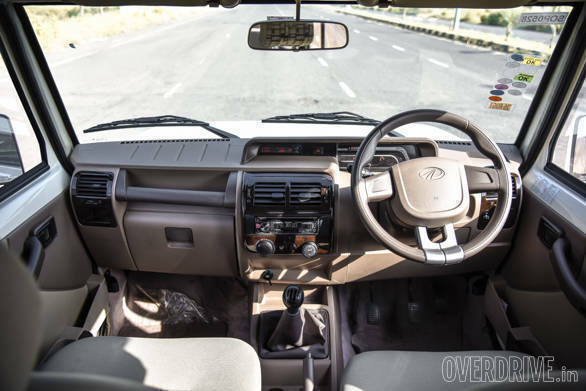 The interior of the new Bolero Power+ ZLX looks cheerful at first glance. 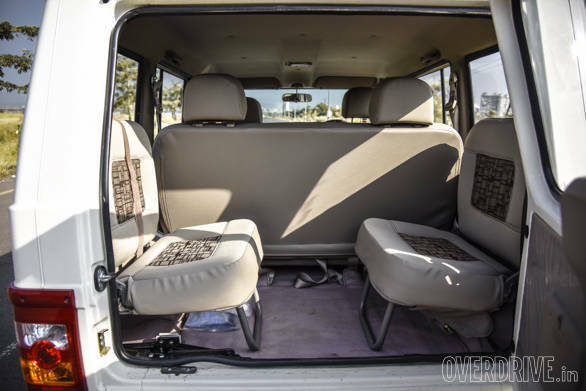 The beige interiors that debuted on the 2013 facelifted Bolero look far better than before but stains easily. One of the highlights of the cabin is the all-digital instrument cluster, with a red line at 5,000rpm. 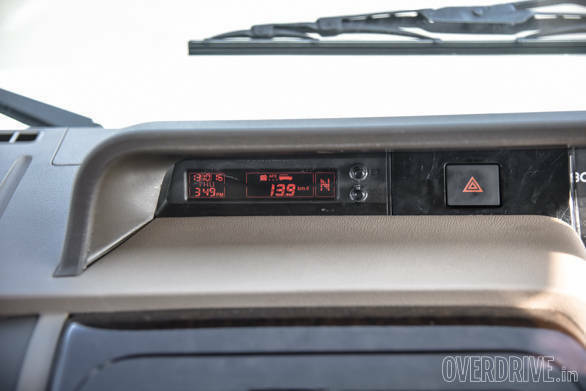 Like in the Xylo, the Bolero too has a driver information system that gives you the average fuel efficiency, current gear and time as well as date. The system is legible even in broad daylight. Few details about the new Bolero are well thought off. 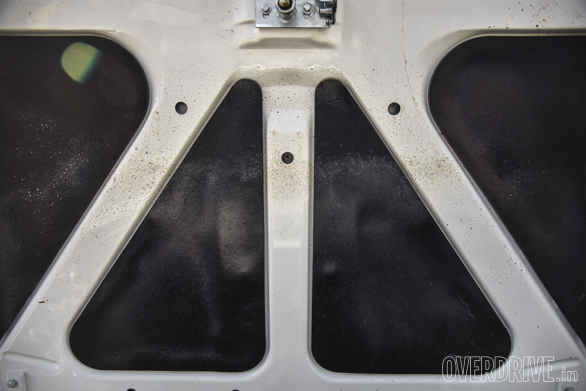 For example, the passenger side gets two pull handles  one on the top and another at the base. This is so that the vertically challenged don't really have to stretch to pull the door shut from inside. The middle row isn't great on leg room even with the front seat adjusted for a 5'8" driver while the third row uses opposing jump seats. Which reminds me that even the external step to enter the last row has also been pushed inward (probably to comply with the new sub-4m length). This makes it difficult for people with large shoes to find a secure foothold. Fit and finish though, leave a lot to be desired, with large panel gaps and many plastics feeling far too cheap for a vehicle that costs nearly Rs 9 lakh (on-road, Mumbai). However, during the near 600km that I drove the car for and put it through the worst roads possible on my commute, nothing rattled or fell. Probably one of the reasons why the Bolero is the preferred SUV in rural areas. To be honest, I drove the Bolero without any passengers, very few people were willing to drop their festive celebrations to go for a ride with me in a UV. The ride quality, as expected, was bouncy. After the tryst with the bad and broken roads around Mumbai, I had to get out of the vehicle to stretch my aching muscles. There is little or no lower back support in the Bolero's driver seat, at least for tall drivers. The handling was pretty decent; however, as discussed before, you will not really want to push this SUV around, that's not what it is designed for. Replacing the old 2.5-litre heavy engine has resulted in less nose dive under braking as well. The braking is typical of new-age Mahindra SUVs like the TUV and NuvoSport  predictable but require an extra effort on the pedal. There is no ABS or airbags, even as an option. Disappointing! 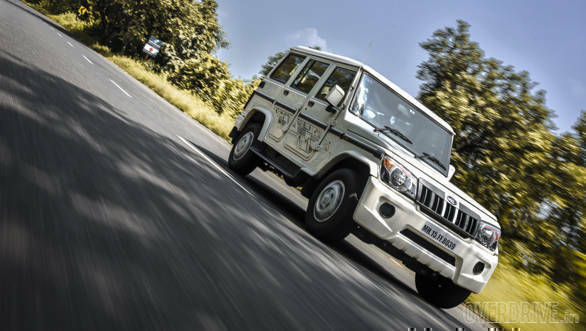 Mahindra though says that the new Bolero meets all the current safety norms. I guess we have to wait till next year for new government rules to force manufacturers into giving us such vital safety features from the word go. Nothing has changed. If you peer closely, however, the front and rear bumpers now don't protrude out too much. They appear flat. This, Mahindra says, has been done to achieve the sub-4m length that accords the company huge excise and tax benefits, which have been duly passed onto the customers. The Bolero sub-4m now costs a whopping Rs 1 lakh less than the earlier slightly bigger version, which still is on sale and will co-exist with the sub-4m vehicle. Why bring in another Bolero when you're going to sell the older version as well. Mahindra says that the two SUVs will cater to different customer bases  one which wants the newer engine as well as lower running costs, and the second which wants to still go ahead with the older, proven engine and mechanicals. The company has added a three year/one lakh kilometres warranty package now on the SUV. 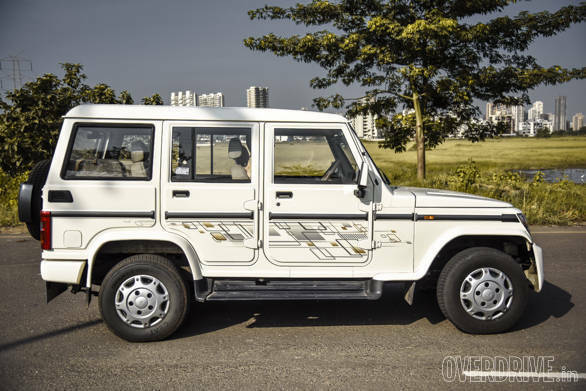 At Rs 8.03 lakh ex-Mumbai, the Bolero isn't the best value, especially for someone looking for a more urban-biased vehicle. Instead, for Rs 7.74 lakh, you get the TUV300 T4++ which has got ABS as well as airbags, is more powerful and feels far more modern. Of course, the Bolero will be the more logical choice for rugged, rural use. Another fun reason to buy a Bolero in white? People inadvertently mistake you for a cop. Traffic parts ways for you, and I actually saved good time on my commute home! Seriously though, given the popularity of the Bolero (over ten lakh have been sold so far), I see no reason why the cheaper and more powerful Power+ shouldn't be a hit with its target audience as well.